This morning on board the Asteria we headed out to the SW corner of Stellwagen Bank. The water was calm and we had mostly clear skies with nearly perfect visibility. 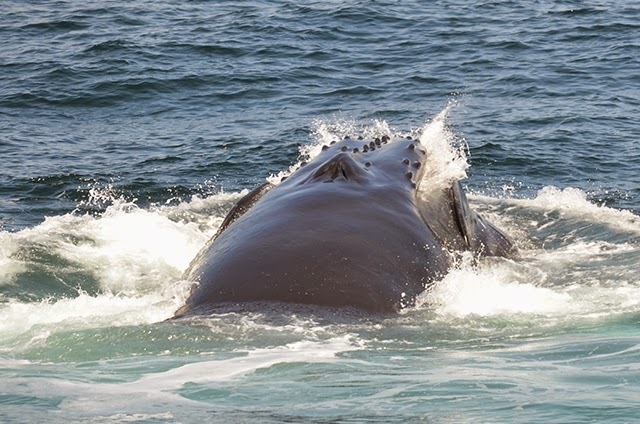 The first sign of a whale was a huge breach a mile away on the horizon! We made our way in that direction and found Dyad, a female humpback whale! We watched Dyad travelling at the surface for most of the trip. 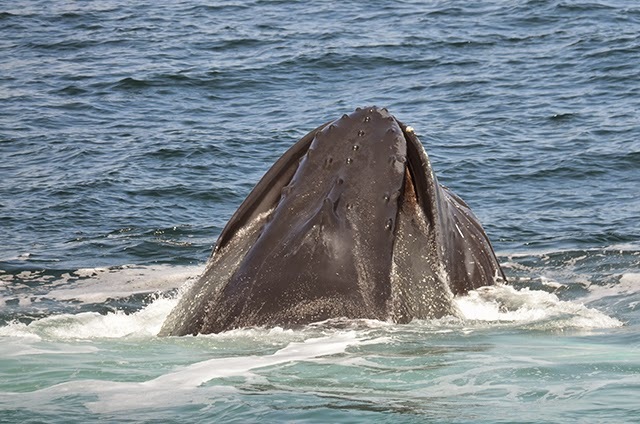 She is a very tricky whale and likes to take fluke-up dives and almost immediately resurface! While we were watching Dyad traveling, we saw another blow in the distance as well as some splashing. We decided to investigate this animal and made our way a mile closer to the tip of Cape Cod. This individual was exhibiting some strange behavior. It would lift and twist its tail and then lightly slap it on the surface of the water, similar to kick-feeding except a little more lazy. 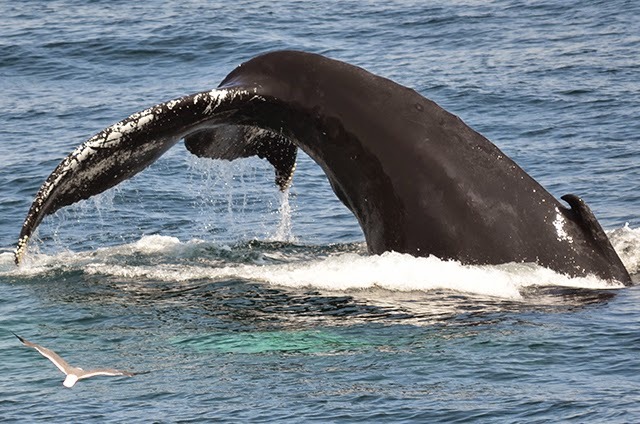 The whale would do 3 or 4 slaps in a semi-circle, duck down underneath the surface, blow a single blast of bubbles and then resurface with a HUGE mouthful of fish and water! It was a little difficult to ID this whale because it had a very droopy tail and never fluked. After the trip we figured out that it was Rapier! It was a beautiful day overall, except for when we entered the harbor and it randomly started to pour! 2014 Sightings | Special video!